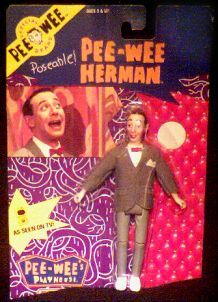 Six-inch tall figure of Paul Reubens' alter ego. One of the most creative children's television shows of all time. Website design and hosting by Sohodojo Business Services. Item 273 of 466 items displayed in viewer. 0 items in cart.